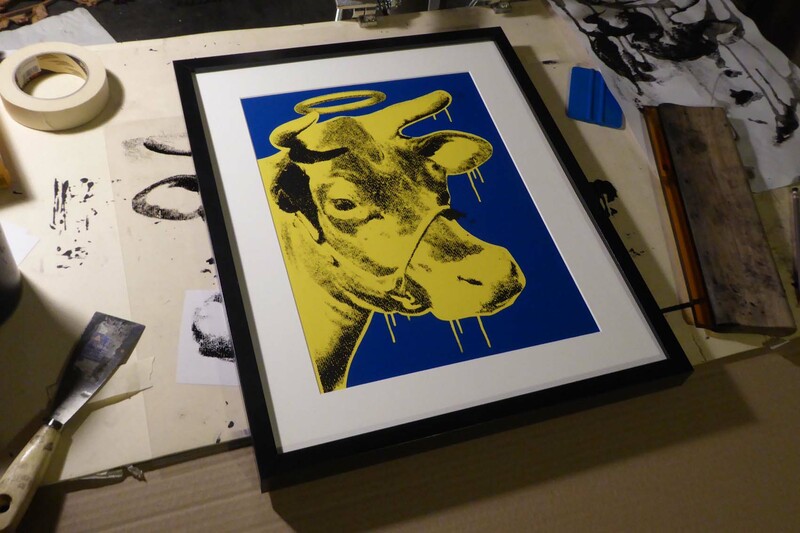 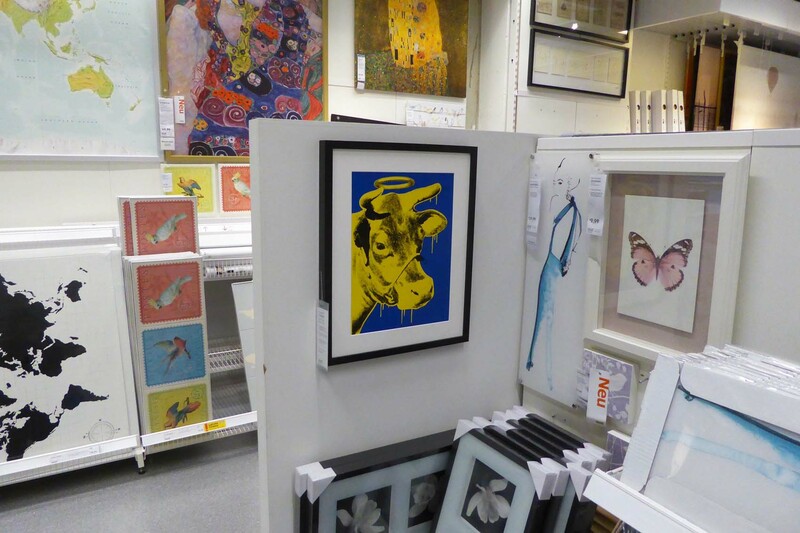 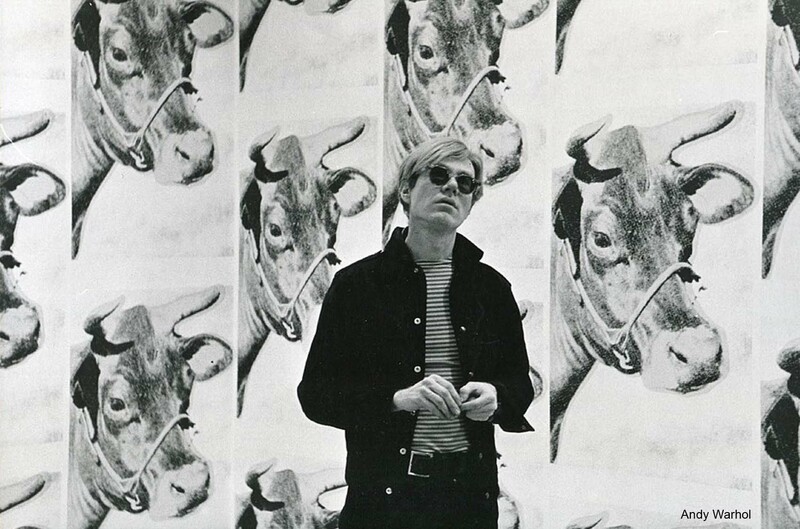 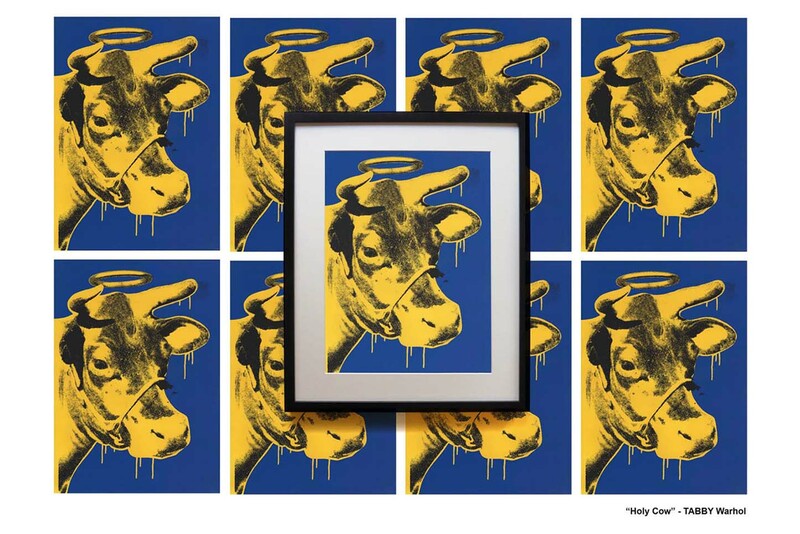 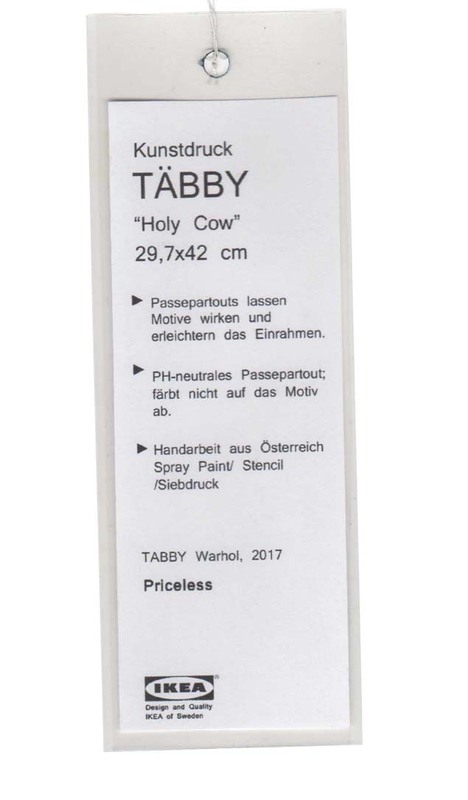 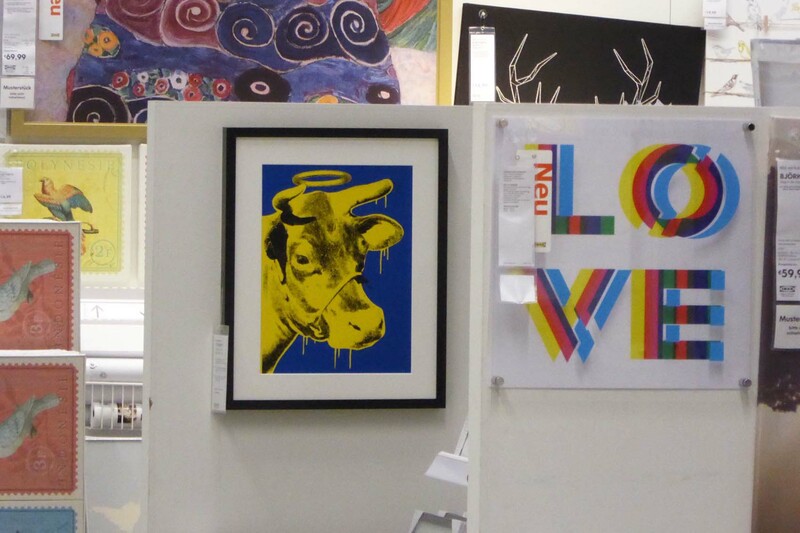 “Holy Cow” comes from having a bit of fun with Warhols 1966 “Cow Wallpaper”. 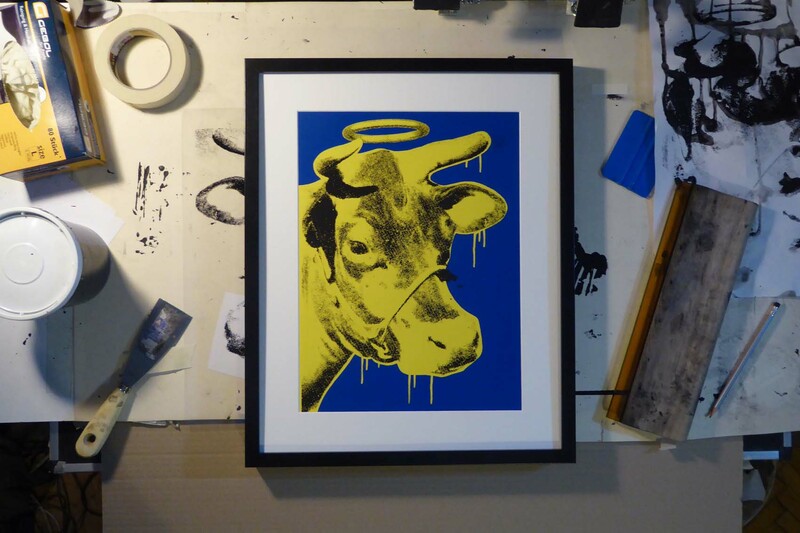 With a mix of spray paint and screen print, this new piece needed a place to hang, so with their matching colors IKEA seemed like a good place to go. 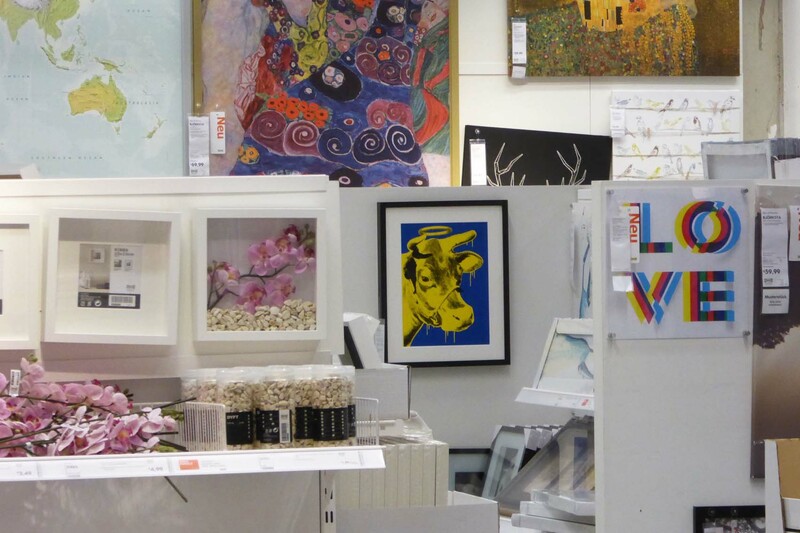 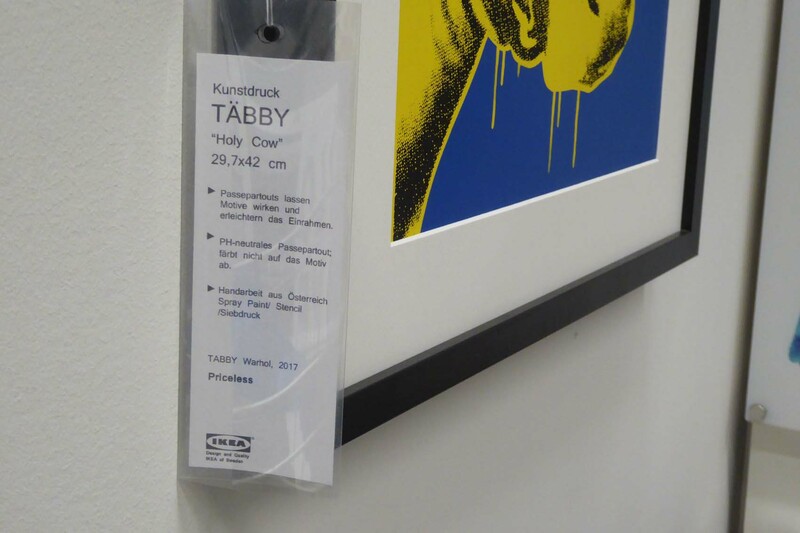 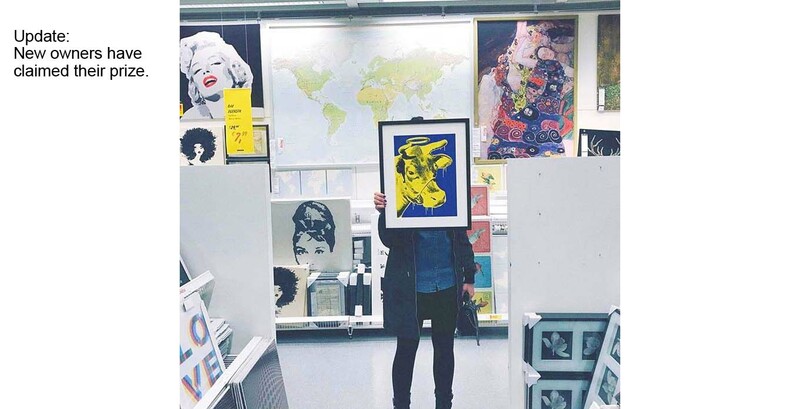 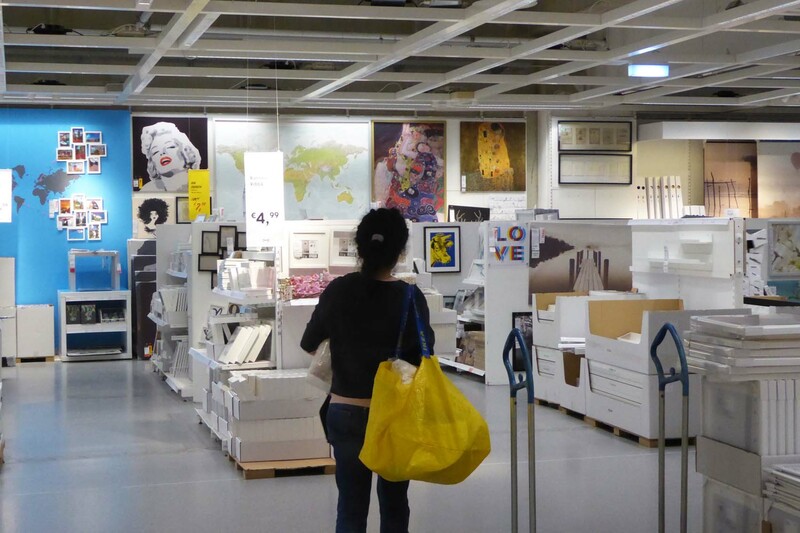 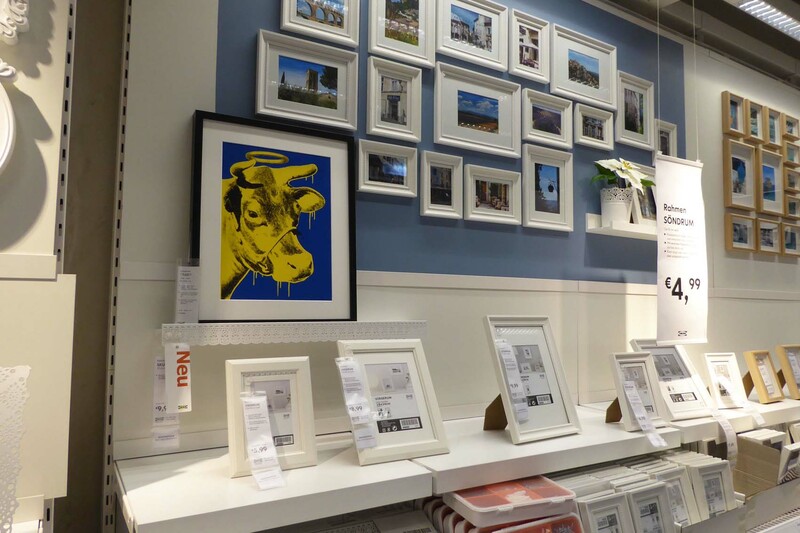 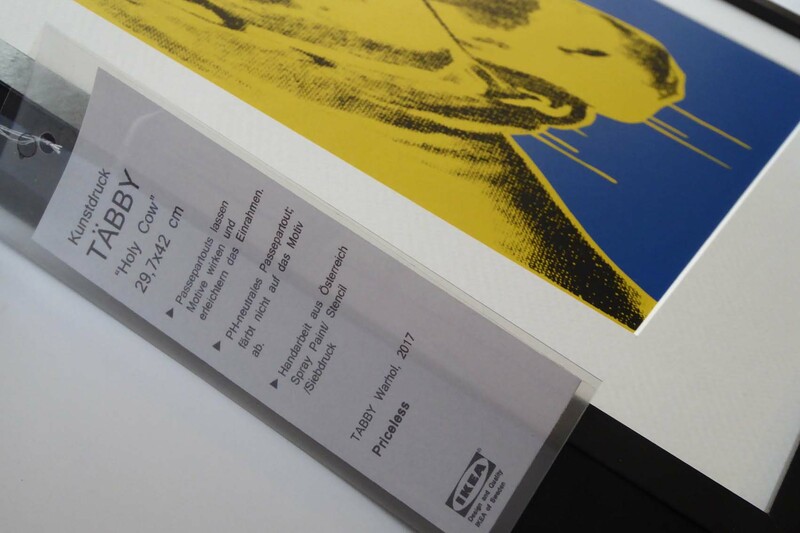 Armed with its own “official” IKEA label and a fitting spot in the art department, this original framed piece has been placed and left behind until somebody in Vienna tries to buy it or one of you goes and picks it up. 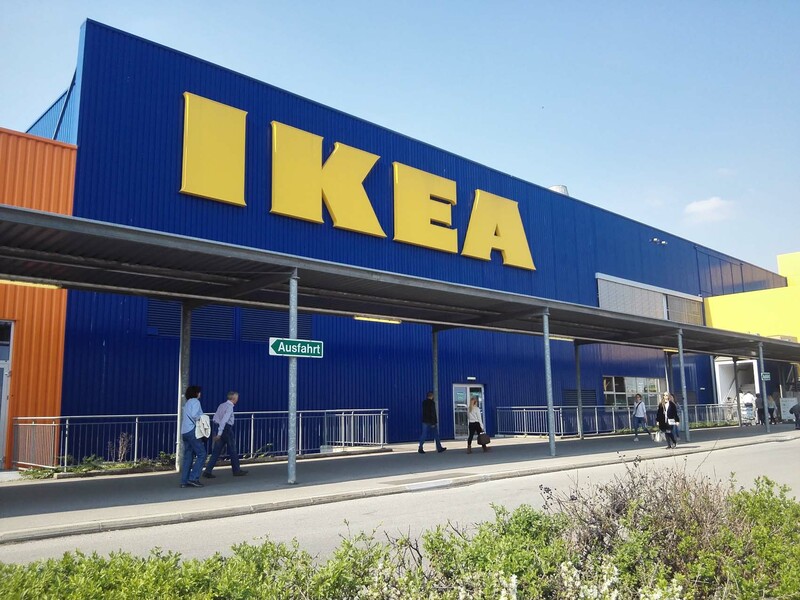 Update: 15 minutes before closing (on the same day) it has been picked up by fast drivers.